– Welcome to the Camping Ground Allensbach at Lake of Constance. One of the most picturesque locations at the Lake, more precisely the Lake of Grace exactly opposite to island of Reichenau a Unesco World Heritage Site. The Lake of Constance round cycle tour leads you directly to our site an features a lot of wunderful cycle roads mostly immediately at the lake side. 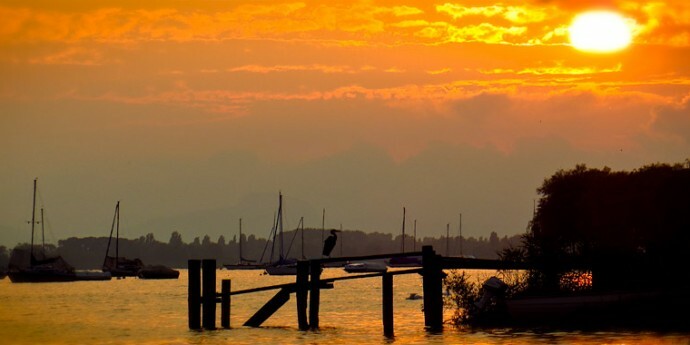 With the Baumann Boat Service you get over to Island Reichenau and other boat transportation connections towards Stein am Rhein, Konstanz, and the Main Lake of Constance. Other attractions and excursion for families are very close e.g. the Wild Park Bodanrück and Island Mainau. Due to its brilliant public transportation Allensbach is linked to the shopping cities Konstanz and Singen in less than 30 min. Cammping at the Camping Ground Allensbach offers you all ammenities for relaxation ath the lake side, excursion in the sourroundings or a day of shopping in Konstanz or Singen.